Perfect for enjoying Wimbledon or enjoying time with friends and family. 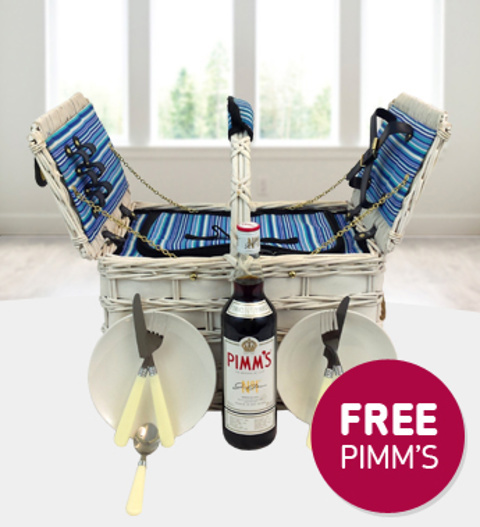 The Prestige Hampers picnic in the park is perfect for outdoors and comes with a FREE bottle of PIMMS to celebrate Summer in true style. Included in the handmade willow basket is a removable chiller container and complete place settings for two people. Picnic in the park is available for UK next day delivery.